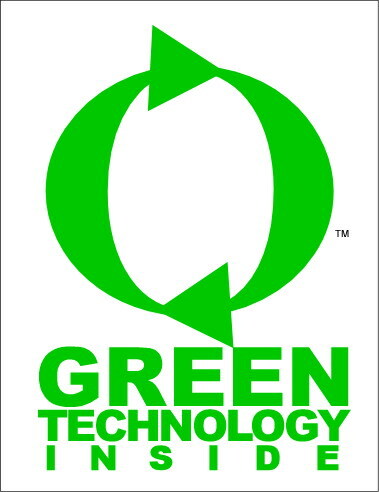 New energy efficient / green technology products are now available right from J.C. Pools. The following are only a handful of the new products that can help you "go green" with your pool ... save the environment and even save money! Please ask us for other "green" ideas for your backyard! Wondering which water filtration system will provide trouble-free operation, energy savings and circulate your water most efficiently and quietly? The new TriStar Energy Solution® variable-speed pump is designed to do it all! 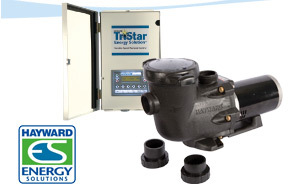 The TriStar Energy Solution pump maximizes water flow while minimizing energy consumption, so both you and your energy bill can relax. With up to eight programmable speeds and outstanding hydraulic performance, the TriStar Energy Solution delivers superior water quality while lowering your energy usage by 30 to 75 percent. Remember, when it comes to pump filtration, bigger is not better. TriStar Energy Solution's advanced hydraulics is engineered to pump at slower speeds for longer periods ensuring ultimate filtration and performance. Since the pump filters water under less pressure, it runs cool and quiet with exceptional efficiency. Your filtration system will experience less wear and tear thereby extending the life of all your equipment. Its integrated time clock makes it simple to use and program and the separate wall mountable control panel provides full accessibility. Zeobrite® lasts just as long as sand, and when it's finally time for replacement, all natural Zeobrite® can be mixed into your garden soil, planter boxes or spread over your lawn as a natural soil enhancer. Set it and forget it! The Aqua Comfort heat pumps feature one-touch programming and the latest operating features available. 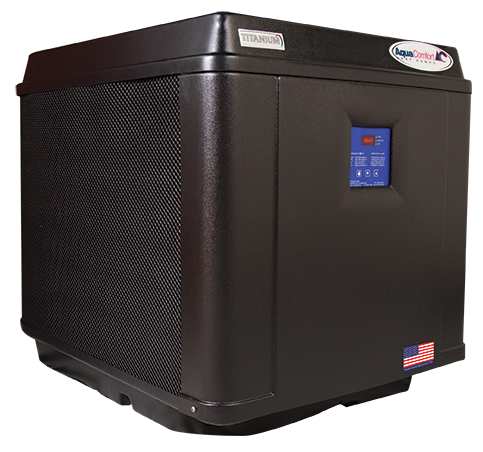 Learn more at our special page dedicated to heat pump. 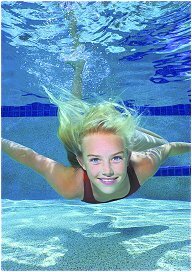 Solar Pool Covers from keep pool water temperatures warm, reduce water evaporation, conserve energy and lower your heating costs (up to 80% of pool heater operating costs). We're now offering the ClearDeck in-ground solar blanket roller that installs IN your pool deck, keeping the valuable cover out of sight when not needed! Learn More! Nothing makes water more vibrant than light and color. But what separates ColorLogic 4.0 from any other lighting system is its ability to take light and color to a whole new level. 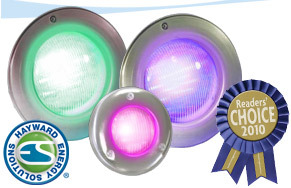 Color Logic by Hayward can save up to 79% on pool lighting energy costs when compared to traditional pool lights, while offering quite a variety of exciting lighting effects. Click here to learn more!